The reason why Global Dialogue 2013 is so important to humanity has been explained in the text section of the theme. As a first step to every participant it would be best to read the Introduction. Global Dialogue 2013 is being held all over the planet. Our website is used to relate results to everyone so as to continue the discussions with everyone else in the Global Community. 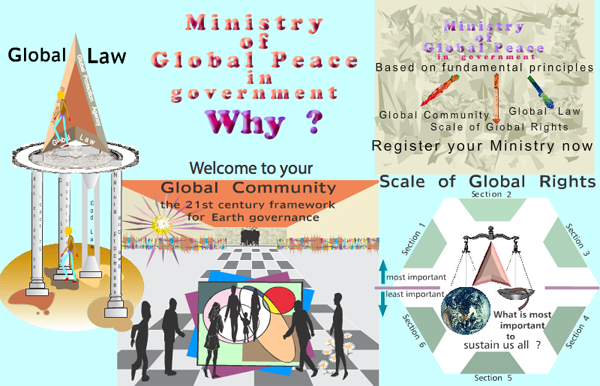 Global Dialogue 2013 has the mandate to conduct and implement positive and constructive actions all over the planet. Actions for the good of all as per the Statement of rights, responsibilities, and accountabilities of the Global Community citizens. The Statement was first developed during Global Dialogue 2002 and further improved ever since. Now is time for action. Global Dialogue 2013 is a grassroots process involving everyone as part of the Global Community, the Earth Community, the human family. Participants from all sectors and walks of life will describe and explain the actions they have performed in their own homes, communities or in any other place on the planet. Everyone is responsible for the proper management of Earth and therefore everyone is invited to submit research papers, vision statements, results of brain-storming exercises, comments and recommendations. Global Dialogue 2013 is well on its way. We have received excellent abstracts, and papers have already been submitted. We have a large number of articles already published in our Newsletters and every issue discussed during the past several years are now part of Global Dialogue 2013. The Participants List is another way to access the research papers submitted. Original papers cover most of the important issues. Several Discussion Roundtables are in the process of being organized. The final deadline for submission of individual abstracts and papers, videos, presentations, panel discussions and workshop proposals, facilitated groups, and of photographic, poster and dramatic displays dealing with pertinent themes, and students' creative work is March 24, year 2013. Make sure you include recommendations, policies or workable sound solutions in your abstract and Paper. Read the criteria for submission in the Call for Papers. Send us your own short version of the Global Constitution. It has to be developed from the actual longer version approved by Global Parliament. Depending on the level of participation, we may have different categories for this special project. Global Parliament will be reviewing all proposals. During the Ceremonies of Global Dialogue 2013, a special Award will be given to the group with the best short version. A research paper(s) as per scientific criteria described in the Call for Papers; your paper is a publication and will appear in the proceedings to be published shortly after the conference in August 2013. Abstracts will be published in the Final Program. Articles for publishing in our Newsletters and making them available on the Internet. Newsletters will be posted on Global Dialogue 2013 website (see 'Current News'). Make sure you specify that it is an article for the Newsletters and not a research paper. The role of education in building Global Communities for all life. 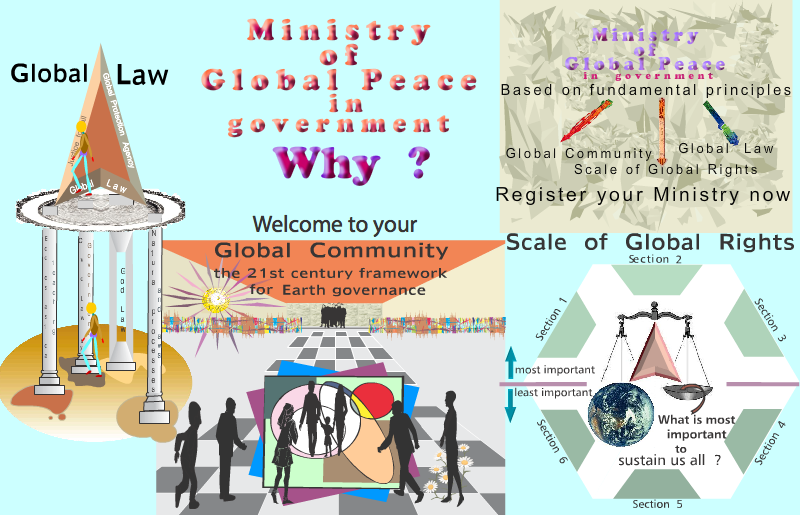 Global Dialogue 2000, the World Congress on Managing and Measuring Sustainable Development - Global Community Action 1, focussed on a Global Community Action Plan to bring together all grassroot movements and civil society to the building of Global Communities for all life on Earth. Global Dialogue 2013 will make this Global Action Plan a reality by calling upon educators a humanitarian service for the education of this generation on the goods of building Global Communities for all life. Participate in Global Dialogue 2013 to help humanity find solutions. As was with previous global dialogues, Global Dialogue 2013 will also have people from all over the planet participating interactively from their own homes, global communities, universities or other community sites. The Internet and email will be used to communicate results and Proceedings. But this time we will also have a physical site for the Opening and Closing Ceremonies and a period for summarizing results during August 17-22, 2013. All Participants are invited to send their papers, comments and recommendations to the Leaders of their choice and they may send them also directly to the Office of Global Dialogue 2013. Participants are required to communicate with their leaders of interest. You are required to discuss via email and send comments and recommendations to them. Leaders will relate to this website your comments and recommendations and summarizing results. All Leaders are required to send an Opening Statement related to their Discussion Roundtable. A Closing Statement should also be sent during the period August 17-22, 2013. These statements along with the comments and recommendations will be inserted in the space reserved to each Discussion Roundtable and Workshop Session on our website. The raison d'etre of the Global Community Earth Government (GCEG) and of the Global Community organization is to find sound solutions to sustain Earth in this Century. The Scale of Global Rights was developed achieve this goal. The Scale contains six (6) sections. Section 1 has more importance than all other sections below, and so on. Now we are asking you to keep in touch with all of us and the organization. Participate in Global Dialogue 2013.